100 years ago to the day. the Coo-ees arrived at Mt Victoria on 4th November 1915. 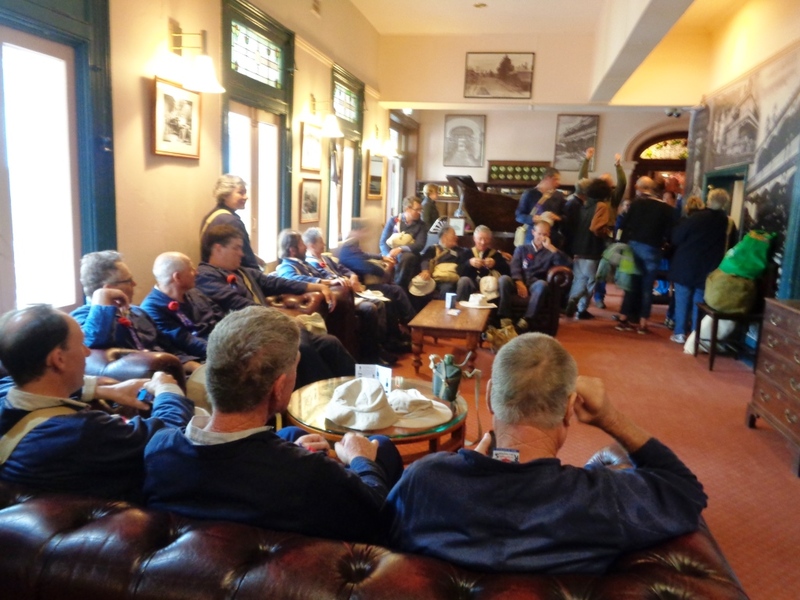 Today the marchers left the Tony Luchetti Sportsground at Lithgow at 7 am, following a cooked breakfast provided by the Lithgow Lions Club. The day was quite wet, with mist and light rain. They stopped at Hartley for lunch, and took the opportunity to have their photo taken in front of the Old Court House, where the Coo-ees dined, and slept overnight at, in 1915. They also had a photo taken in front of the Old Royal Hotel at Hartley, where the Coo-ees also had their photo taken in 1915. The marchers climbed Berghofers Pass, then arrived at Mt Victoria about 2.45 pm. 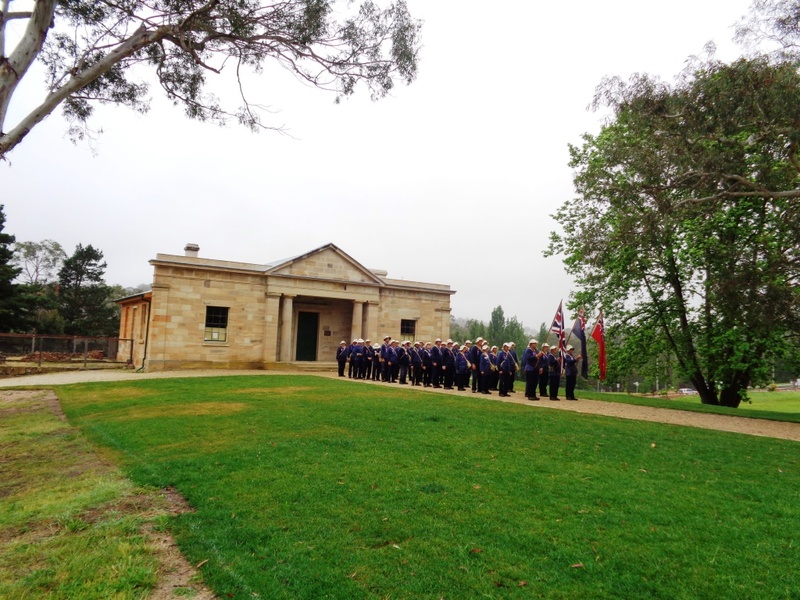 Due to the rain, the commemorative service held at 3 pm was moved to the Ballroom at the Imperial Hotel across the road from the Mt Victoria War Memorial, where afternoon tea was provided by the Blackheath-Mt Victoria RSL Sub-Branch, and the Mt Victoria Community Association Inc. 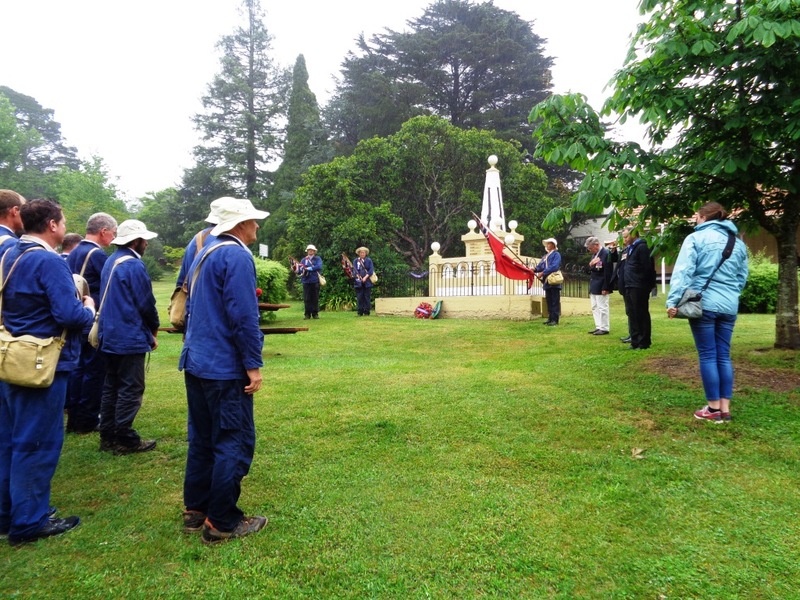 The wreath laying ceremony was undertaken at the Mt Victoria War Memorial, where the Last Post was played by the bugler. Some of the marchers camped at Browntown Oval. Others camped at the Anglican Church Hall which was kindly made available to them, due to the rain. A few decided to stay overnight at the Imperial Hotel. This entry was posted in Parades and tagged Mt Victoria. Bookmark the permalink. 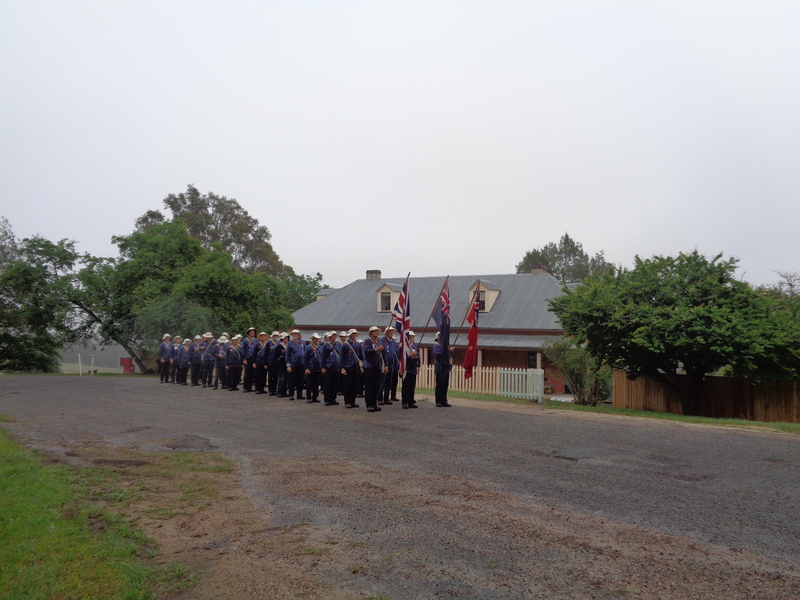 so proud of these guys and girls, have been following them since Bathurst , wanted to get a photo of them climbing Berghofers Pass i have a news paper with a photo of the original march , and now have one in exactly the same spot one hundred years on. Bill Wilcox President Blue Mountains District Council.